'Tis the season to be jolly, and the way I embrace the spirit of that message is by not feeling very guilty about what I eat! I enjoy decadent desserts as much as the next gal, but what I really crave is meat. It’s probably because I live with so many vegetarians. I roasted a lamb sirloin today with Herbes de Provence, garlic, tomato paste and maple syrup. 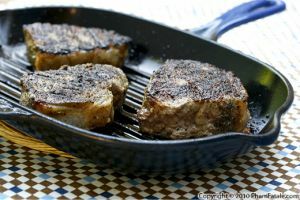 Prior to roasting it in the oven, I seared the meat to form a deliciously sweet, herby crust. 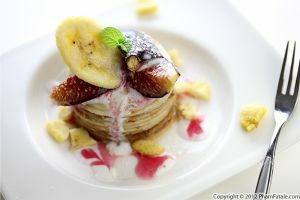 I enjoyed every single bit of it, and so will you if you give this recipe a try. I guess I'll eat healthier to shed some pounds in 2012. That’s what New Year’s resolutions are for! Today's prize is sponsored by Somersault Snacks. You could win five 6-ounce packages of their insanely addictive nuggets! These sunflower seed-based nuggets are nutritious and tasty; they're a perfect combination in between gorging on calorie-laden holiday food. My personal favorite? Definitely the Dutch Cocoa. It has a very satisfying mild chocolate flavor. As for the savory options, I really enjoyed the Salty Pepper, which has just the right amount of heat. 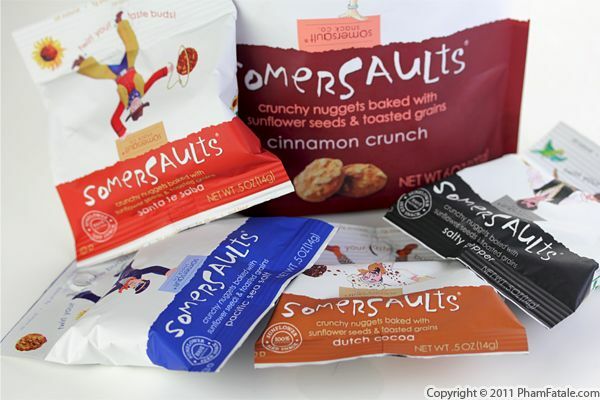 If you want to experience Somersault Snacks for yourself, just go to the 25 Days of Giveaways page today and enter for a chance to win! Make sure you're a fan of PhamFatale Facebook fan page and Somersault Snacks or follow @Phamfatalecom and tweet about this giveaway. To make it easy, you can just copy and paste this tweet if you’d like: "snack pack #Giveaway from @Phamfatalecom and @SomersaultSnack: http://bit.ly/sp4V7y". Transfer into a large sealable zip-top plastic bag. Add papaya paste and 1 clove garlic. Seal the bag and shake well. Pat the meat dry with paper towels. Place the lamb in the plastic bag, chill and allow to marinate for at least 15 minutes. Remove the lamb from the refrigerator so it returns to room temperature. Pat dry the pieces of meat using paper towels. 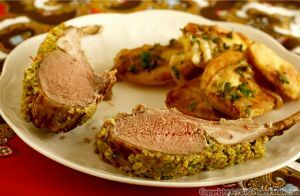 In a large baking dish, rub the lamb with salt, Herbes de Provence, garlic and black pepper. Drizzle with about 1 tablespoon canola oil. Place the probe of a digital oven-proof thermometer in the center of one of the pieces of meat. Set the thermometer at 145°F (see tips), depending on how pink you like the meat. With a brush, grease an oven-safe (preferably cast iron) skillet grill (a regular frying pan will work, but you won't get the nice grill marks) with oil and heat until it's really hot, almost to the smoking point. Using tongs, place the lamb sirloin in the pan (still on high heat) and cook for 3 minutes. 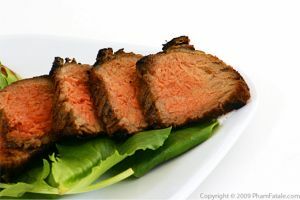 It's important that you not pierce the meat, so it stays moist and tender. Flip the meat on the other side. Grill for another 2 minutes. 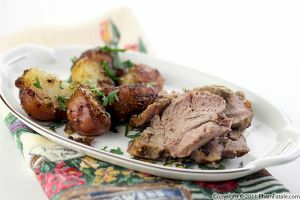 Immediately transfer the skillet to the oven and roast the lamb sirloin until the desired degree of doneness is reached. Remove the skillet from the oven. Transfer the lamb to a large platter. Sprinkle the meat with a little salt. Cover with a piece of aluminum foil. Let the meat rest for at least 15 minutes before slicing. 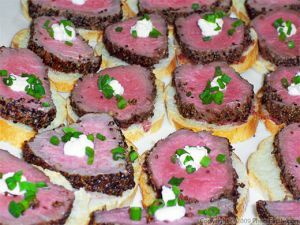 Note: Make sure the lamb sirloin is sliced against the grain, so the meat remains tender. 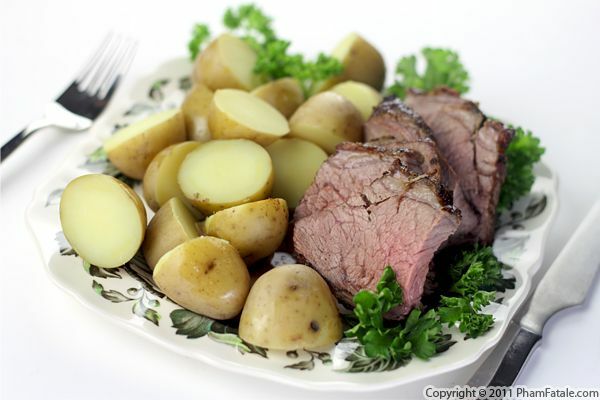 Serve immediately with boiled potatoes. I use green papaya as a meat tenderizer to ensure moist and juicy meat. The papaya paste was Baji, my husband Lulu's late grandma's secret for tender and moist meat. Peel a green papaya. 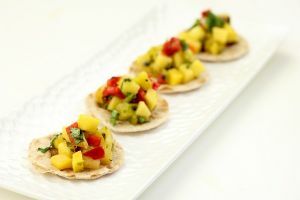 Grind the cubed papaya with seeds in a mini food processor; place about 2 tablespoons of papaya paste per slot in an ice-cube tray and freeze them. Transfer the ice-cubes into sealable plastic bags and place back in the freezer. Herbes de Provence is a combination of herbs originating from the Mediterranean region. I used a store-bought blend. You can also make your own; check the ingredients here. The roasting time depends on how pink you like the lamb. If you want to be absolutely sure (and that is my fool-proof way of cooking lamb), just place a temperature probe in the center of the piece of meat, and remove the lamb from the oven when the thermometer registers at least 130°F (I prefer 145°F, so the meat is less rosy). You can get a digital thermometer at IKEA for a reasonable price. 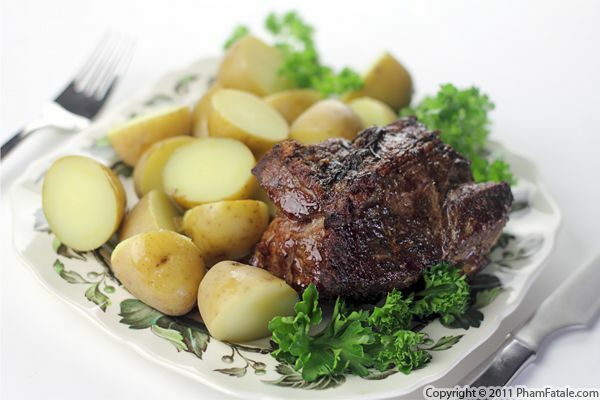 Make sure to let the lamb rest before slicing it to ensure optimum tenderness of the meat. 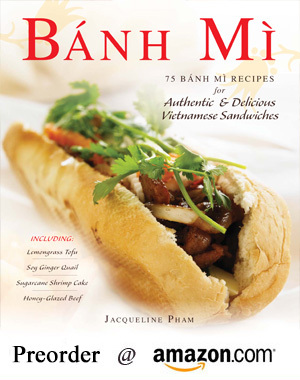 Published By: Jacqueline Pham on December 19, 2011.